Dr. Rideman is a board-certified and fellowship-trained surgeon. He joined AdventHealth Medical Group’s elite surgery team in Lake Mary from Lifebridge Health Systems Northwest and Sinai Hospitals, where he served as an on-staff general surgeon. Prior to that, he completed a fellowship in minimally invasive and bariatric surgery at Northwest Hospital in Randallstown, MD. 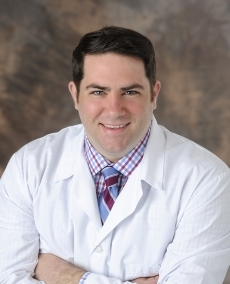 Dr. Rideman earned his medical degree at the Philadelphia College of Osteopathic Medicine, after which he completed his general surgery residency at Rowan University School of Osteopathic Medicine/University of Medicine and Dentistry of New Jersey where he was named Chief Resident. Dr. Rideman takes pride in caring for his patients as if they were his own family. He understands that surgery can be worrisome to some and takes pride in making sure his patients are always comfortable, have a full understanding of what is going on and have the ability to ask questions with honest answers in return. Dr. Rideman is a board-certified laparoscopic and robotic fellowship-trained surgeon. He specializes in hernias, gallbladder, diseases of the colon, reflux, breast, thyroid and routine soft tissue and skin cancer surgery. His approach to the patient centers not only on the surgical disease at hand but also the overall wellbeing of the patient. He provides an office staff that is available 24 hours a day. You will always be able to reach either him or one of his partners. Note:- The list below is for reference purposes only and is subject to change. Please check with your health plan to confirm that Eric Rideman, DO is included before scheduling an appointment.